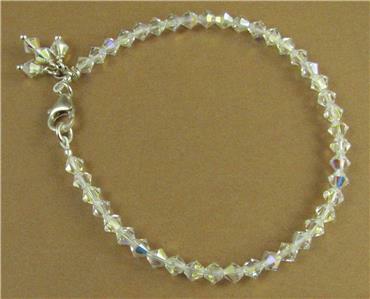 Home › Aurora borealis crystal bracelet made w/ Swarovski elements. Sterling silver. 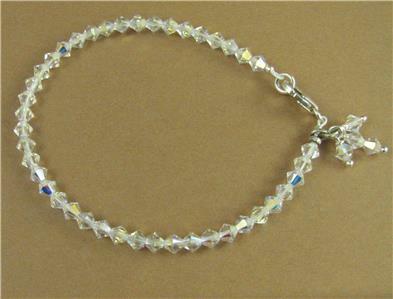 This is a crystal bracelet with dangles. 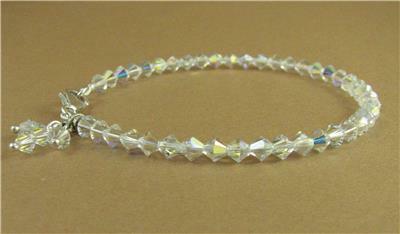 I have made this bracelet myself using Swarovski elements crystals. The crystals are aurora borealis which are full of different colours when they sparkle in the light. 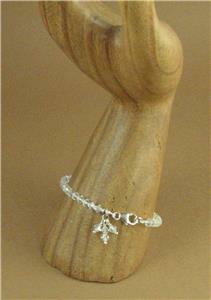 The catch and the hoop on the dangles are extremely pure fine silver (98%). 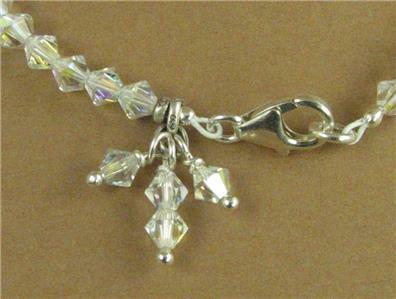 The wire inside the dangling crystals is sterling silver.